Stop "just getting by"... Master the 80/20 rule and make more money without more work. When you know how to walk into any situation and see the 80/20's, you can solve almost any conversion problem. Any traffic problem. Any money problem. 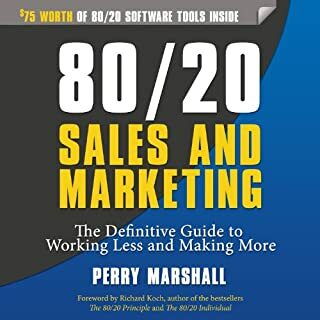 If you're a sales and marketing professional, you can save 80 percent of your time and money by zeroing in on the right 20 percent of your market. 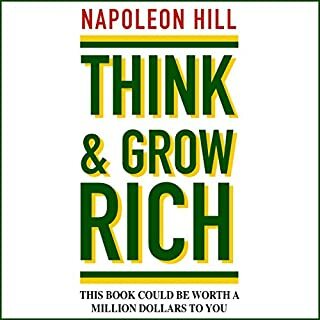 By page 5 you'll be applying 80/20² and 80/20³ to gain 10X, even 100X the success. some serious breakthroughs in this book!! The 8th Habit is the answer to the soul's yearning for greatness, the organization's imperative for significance and superior results, and humanity's search for its "voice". 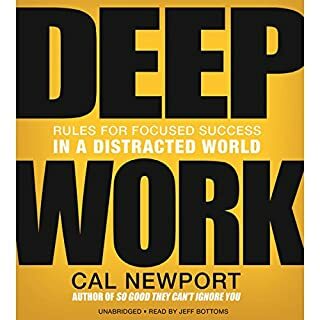 Profound, compelling, and stunningly timely, this groundbreaking new audiobook of next level thinking gives a clear way to finally tap the limitless value-creation promise of the Knowledge Worker Age. Written by: Daniel G. Amen M.D. Narrated by: Daniel G. Amen M.D. 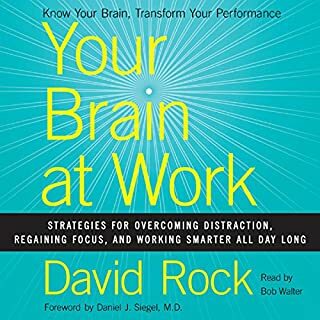 In this completely revised and updated edition of the breakthrough best seller, you'll see scientific evidence that your anxiety, depression, anger, obsessiveness, or impulsiveness could be related to how specific structures in your brain work. You're not stuck with the brain you're born with. 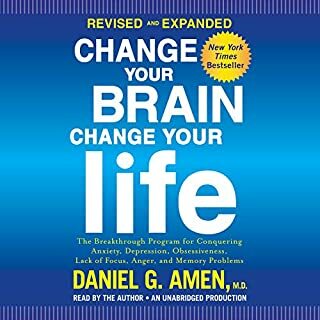 Renowned neuropsychiatrist Dr. Daniel Amen includes cutting-edge research and the latest surprising, effective "brain prescriptions" that can help heal your brain and change your life. Meet Emily and Paul: The parents of two young children, Emily is the newly promoted VP of marketing at a large corporation while Paul works from home or from clients' offices as an independent IT consultant. Their lives, like all of ours, are filled with a bewildering blizzard of emails, phone calls, yet more emails, meetings, projects, proposals, and plans. Just staying ahead of the storm has become a seemingly insurmountable task. Find your "critical 20%" and transform your time - and life - forever! 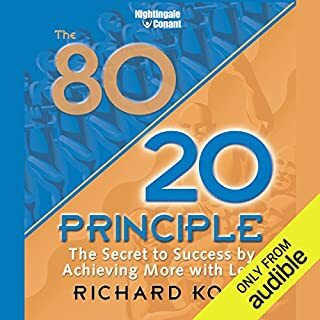 The 80/20 principle - also known as the Pareto principle - is the well-verified observation that in business, economics, and life generally, about 80 percent of all results flow from a mere 20 percent of our efforts. 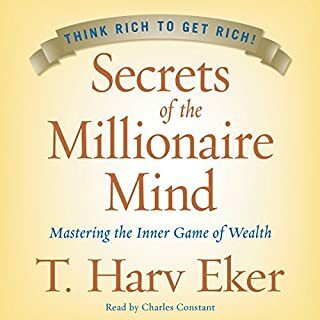 In this thought-provoking and highly informative program, Richard Koch unveils the secrets to how this mysterious but practical principle actually works... how it is affecting your life right now... and how you can start using it to your advantage. 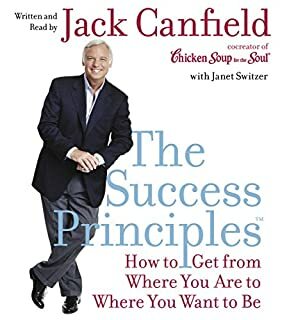 The Success Principles by Jack Canfield, co-creator of the phenomenal best-selling Chicken Soup for the Soul series, will teach you how to increase your confidence, tackle daily challenges, live with passion and purpose, and realize all your ambitions. 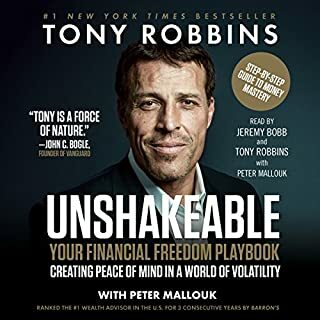 This audio spells out the timeless principles used by successful men and women throughout history. And the fundamentals are the same for all people and all professions, even if you're currently unemployed. What is up with this book ? 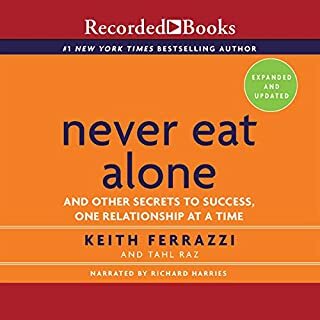 In Never Eat Alone, Ferrazzi lays out the specific steps - and inner mindset - he uses to reach out to connect with the thousands of colleagues, friends, and associates on his contacts list, people he has helped and who have helped him. And in the time since Never Eat Alone was published in 2005, the rise of social media and new, collaborative management styles have only made Ferrazzi’s advice more essential for anyone hoping to get ahead in business. Helps you understand when you're in a rut. We live in digital time. Our pace is rushed, rapid-fire, and relentless. Facing crushing workloads, we try to cram as much as possible into every day. We're wired up, but we're melting down. Time management is no longer a viable solution. Managing energy, not time, is the key to enduring high performance as well as to health, happiness, and life balance. The number of hours in a day is fixed, but the quantity and quality of energy available to us is not. This fundamental insight has the power to revolutionize the way you live your life. The Power of Full Engagement is a highly practical, scientifically based approach to managing your energy more skillfully both on and off the job. The Power of Full Engagement provides a life-changing roadmap to becoming more fully engaged on and off the job. ©2003 Jim Loehr and Tony Schwartz (P)2003 Simon and Schuster, Inc. I bought this title because it was on the bestseller list and sounded like a good buy. However, after struggling through it I have to say it's poor at best. The book is sold on the strength of the authors' reputation as developers of the "corporate athlete" program. Unfortunately the narration comes across as trite, and self-promotional. To me, the book seems to lack real depth of insight or compassion into the real issues facing readers in crisis -- except to see them as sell-through opportunities for other programs and products. As an alternative to The Power of Full Engagement I would highly recommend The Breakout Principle and The Power of Now, two less commercial and more authentic works. Very practical advice! Helps put in practice all the things that we would like to do. 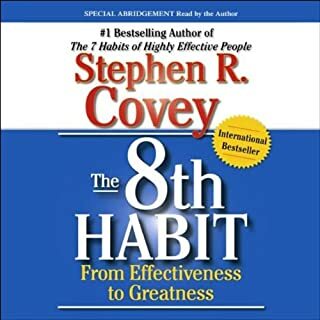 Books from Covey, etc. tell you what to do. 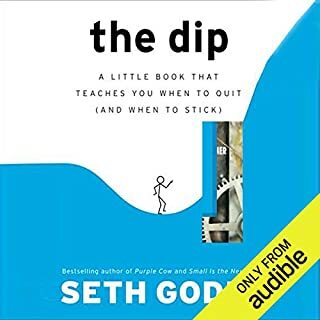 This book tells you how to do it. That's the beauty of this book compared to the rest. Some truth in all of the other reviews. 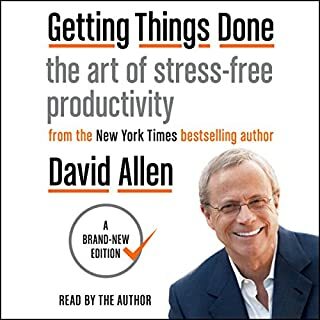 All books on productivity share some ideas, theories and principles. The Power of Full Engagement offers a different perspective on some of those ideas.... If you've been exposed to the principles that enhance physical fitness, specifically, repeated stress followed by time for recovery, this title will make sense! The authors introduce how this same principle could/should be applied to other aspects of our lives. The power of Full engagement is for you. It really helps to recognize the value of replenishing our souls and ourselves in order to bring out our best. We tend to overlook the role that this plays. 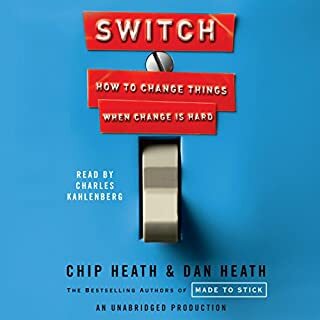 Loehr/Schwartz not only emphasizes this, but really gives pointers on how to manage your life so that you can optimize your energies, producing even better results than you would see from just working harder. I had heard about this book for a few years before I actually read it. I am sorry that it took me so long to getting around to reading it. It was a powerful book, and will continue to be in my re-read list in the future. This was a terrific book. Initially, I thought it would be another business, time-management, how-to bore, but far from it. The authors' provide a full-spectrum guide on how to maximize physical, mental and spiritual energy--rather than just squeezing out more minutes in the day. The case studies were varied and allowed listeners to see their issues manifested to one degree or another. I was also impressed with the authors' sense of empathy for the sorry state of our unfulfilled lives. Rather than just professional self-development, this should be taught in public schools to help create better citizens. This book is based on the important truth that energy management is much less important than time management. However, it tries to cover so many areas that it fails to deliver on any of them. 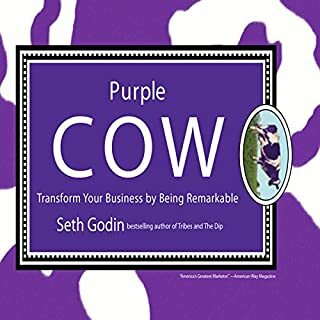 The language of this book has been completely infiltrated with corporate buzzwords that many potentially profound thoughts are clouded. Words like "Personal Inventory," "Spiritual Alignment," "Value Statement" remind me of much of the meaningless double-speak found in the corporate world today. If you're interested in managing your physical energy, read "Body for Life." If you're interesed in improving you're emotional energy read any of Tony Robbins books. If you're interested in renewing yourself spiritually, comb the great leaders of your tradition. 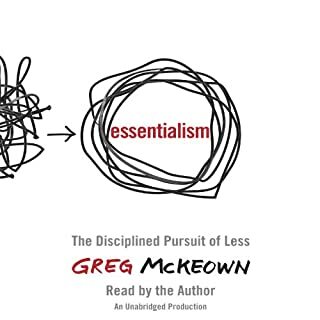 On the other hand, if you truly value your time, skip this book. 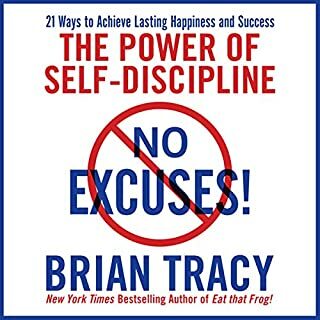 Gave me very real, helpful ways I can increase energy and help improve how I think and act. Provided me with habits that have changed my life. 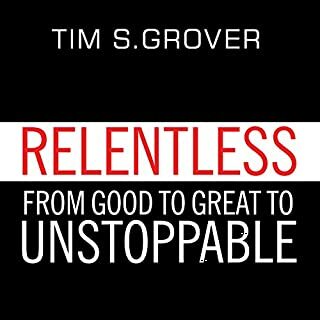 Would you try another book from Jim Loehr and Tony Schwartz and/or Jim Loehr and Tony Schwartz ? What was most disappointing about Jim Loehr and Tony Schwartz ’s story? There are few tools that the author provides to manage one's energy other than sleep, exercise and take breaks. Most of the stories are about why managing energy is important. I got this book to get solutions but found none. 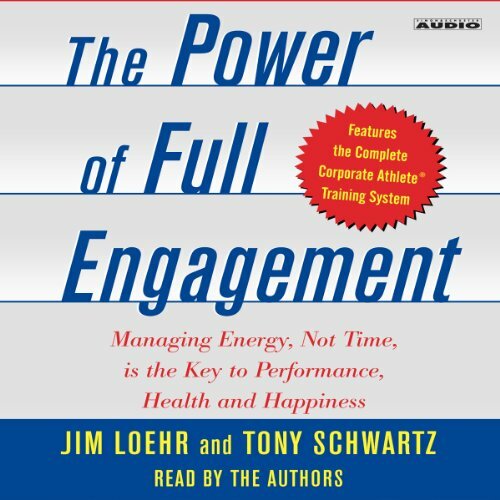 Would you be willing to try another one of Jim Loehr and Tony Schwartz ’s performances? If you could play editor, what scene or scenes would you have cut from The Power of Full Engagement? I would change the title of the book to "Chicken Soup for Full Engagement" because it is full of stories but no solutions. Tony Robbins is so much better in providing comprehensive solutions. I wish I never got this audible. Great stories and insights, but I did not notice when I purchased it that this was a shortened version of the book. I felt frustrated when it ended: I wanted more!